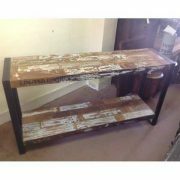 Our range of eye catching console tables are ideal for placing behind the sofa in the living room or against the wall in the hall, to display your favourite objects. 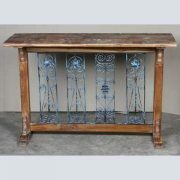 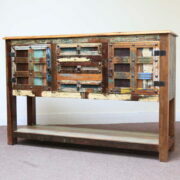 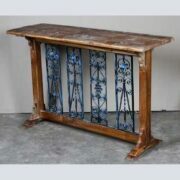 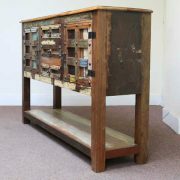 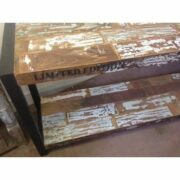 Choose from a variety of styles including carved, painted, old, vintage, industrial, reclaimed, sheesham. 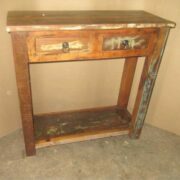 All of our Indian console tables are handmade from wood, and are available to buy online or in our Brighton & Hove furniture store.